Initially established in 1974 by the Storey family siblings, (a sixth generation New Mexican family) Circle S has been offering quality guided trips into the Pecos Wilderness for over 25 years. All of our rides are private. 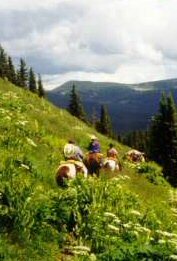 We offer a variety of trail rides and pack trips to realize your dream vacation! 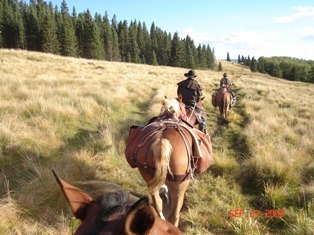 Whichever it`s a short, medium, or long trail ride; or a pack trip to fish, hunting or photograph. We will create a personalized experience to meet your needs. © 2002-2019 Copyright Circle S Riding Stables. All rights reserved.